Proper ankle fusion surgery rehabilitation can help a patient regain the use of his leg, as it might initially be hard for the patient to move around in a normal fashion. The body needs to get used to the changes, and the initial pain needs to subside gradually. As a long term ankle surgery rehabilitation measure, once a patient is done with his ankle joint surgery, his ankle will most likely be placed in a plaster cast or in an external fixator. This plaster cast is generally removed in about two to three weeks only to be replaced by a short leg cast. Doctors normally give strict orders not to apply any pressure on the injured foot whatsoever. This is because even the slightest pressure applied when the bones are still fusing might damage the efforts of the entire operation. This is to be maintained for about 10 weeks to 12 weeks. For the first few days, the patient should keep his injured foot above the level of his heart to avoid any throbbing and swelling. The patient can also use pillows to keep the foot propped up for effective ankle injury rehab. Once the patient is back home, the same set of instructions are to be strictly followed, and any medication that is prescribed must be taken in a timely manner to avoid any infections, and for successful ankle surgery rehab. After about 10 weeks, the cast will be removed and an ankle brace will take its place. The surgeon will setup frequent appointments to make sure that the fusion is done correctly and the wound is healing by itself. The patient will be in need of crutches for the first two or three months after the operation. Some force and weight can be applied over the injured foot gradually as the bones begin to fuse completely, i.e. as the fusion gets stronger. This can be very frustrating and it would be better to hire a physical therapist for help during this process. A physical therapist can make sure that the patient’s walk is gradually smoothened and without a pronounced limp. Once the bones are completely fused and the wound is healed, the patient will be given a special shoe which will help make walking easier. This shoe has an insert known as ‘SACH foot’ which helps the patient walk normally, without any strain on his foot. This is done through the help of a heel cushion which absorbs the weight applied and it rolls forward more smoothly so that each step is slow and normal. Another shoe termed as the rocker sole is also used, and this is a modification of the same type. It has a rounded sole rather than a flat sole which is more typical of these special shoes. This provides the foot with more comfort while taking a step. Running may not be an option after the ankle fusion, but if the operation is deemed a success then the walking style will be as normal as possible with time. As is the case with almost all medical procedures, different individuals experience different rates of healing and results during the ankle surgery rehabilitation phase. Once the first year is over, the patient has to go for half yearly checkups initially and the surgeon will continue to check if the fusion remains intact using X ray scans. If everything continues to be fine, then annual checkups will be more than sufficient. The patient can return to his normal state of affairs but heavy manual labor, especially the kind that puts too much stress on the ankles should be avoided. The ankle fusion surgery recovery process starts immediately once the procedure is over, and this is important because only after proper recovery will you be able to revert to your normal lifestyle. During the ankle fusion recovery phase, effective measures need to be started right in the hospital, before you’re given the go-ahead to shift back home. Once the surgical procedure on the ankle joint is done, you will be shifted to the recovery room. There is a chance that you might feel a bit groggy once you wake up, and this is because of the anesthesia given during the surgery which will then start wearing off. You might experience some pain in the wound and you can ask the doctor for a painkiller if the pain is intolerable. Patient controlled analgesia will be available in many hospitals. You’ll need to press a button and the analgesic will be injected into your bloodstream through the veins. This whole process is controlled by a computer which helps in preventing an accidental overdose. As the general anesthetic which is given is bound to make the patient forgetful and slow up to a day or more, it is important that you don’t move around during this time or make any vital decisions. You can have water or juice after a couple of hours if you don’t feel nauseous. You can start having normal food after confirming the same with your doctor. The nurse will remove the wound drain in a day or two, and it’s highly unlikely that you’ll be able to feel this. The stitches normally come out after a fortnight, so you’ll have to ensure that no stress is applied on the injured leg for about 8 to 10 weeks, or at least till your doctor tells you that you can. A physiotherapist will be assigned and you’ll be taught to use crutches. You should ensure that you don’t get either your cast or your fixator wet. Make an appointment to visit the outpatient department of orthopedics six weeks after the surgery during the ankle surgery rehabilitation period, so that you can bring up broken ankle recovery pain, if any. 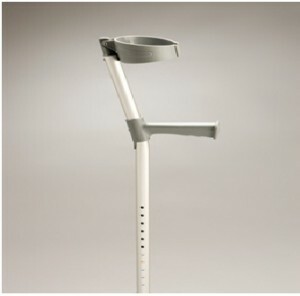 Once you’re out of the hospital, you should always use your crutches so as to avoid putting any pressure on the injured leg for at least five weeks. The first change in the plaster will be in about six weeks’ time and it will finally be removed in about 12 to 14 weeks once the wound is completely healed. The external fixator requires a small operation to be removed and this is generally done in about the same time. The leg will heal and regain its old strength in about a year. You’ll need to make sure that you have someone who can assist you and run small chores like shopping, buying groceries and getting the laundry done. Getting back to work depends entirely on the kind of job that you do and driving and using public transport will be too risky during the initial months. You can return to work after a period of 6 to 8 weeks following the operation. Avoid driving and doing manual for a period of four to six months in order to ensure that you clear the ankle surgery recovery phase successfully. Regular checkups can keep you updated about the status of your leg, so always stay in touch with your medical practitioner. Post ankle surgery risks are still prevalent because irrespective of advancements in science, technology and medicine, there are still a number of possible complications that can occur once a patient is on the operating table. 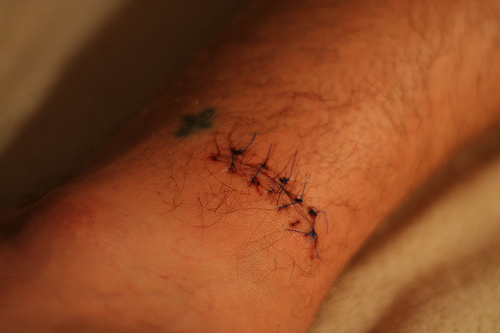 Post ankle surgery recovery can be marred at times by certain specific complications. The fact that complications arise due to surgery can be true for operations of all kinds, right from a small two to four hour kidney transplant to a removing a tumor on the spinal cord, which can take up to 15 hours. It is always better to know the risks before getting into something rather than just jumping into it blindfolded. Ankle fusion surgeries also bear their own degree of post ankle surgery risks. Since the operation will be performed with the patient under a general anesthetic, there are complications that can arise with the patient’s heart or his lungs even during the procedure. Before the procedure starts, all patients are prepared well for the operation. This is to ensure that the degree of risks is brought down as close to zero as possible. When a patient is lying open on the operating table, there is a risk of him getting infected and in order to avoid this complication, the patient is given a dose of antibiotics. In case the infection is already in the patient’s blood stream, doctors normally insist that he stay in the hospital so that he can be given antibiotics through a vein in his arms (intravenous). This is a rather serious complication, albeit a rare one. There is also a possibility that the pins from the external frame that are put on the patient’s leg might get infected. In this case, the patient is immediately put on antibiotics and the pins are replaced after putting him on general anesthetic as otherwise it can cause post ankle surgery pain. This is an equally serious complication that can occur in such circumstances. The deep veins in the leg are essentially drain pipes for the blood. Deep vein thrombosis or DVT is when there is an occurrence of clots in these drain pipes or deep veins. This generally happens immediately after the operation in the first few days as the patient’s leg movement will be restricted. 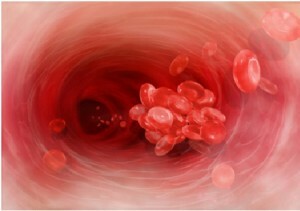 There is a chance that a part of the clot can detach itself and travel through to the lungs via the blood pipes. Once the clot is in the lungs, it can obstruct the blood vessels either completely or partially which can prove to be lethal. The patient is given blood-thinners like heparin to make sure that no clots form in his deep veins. During the initial days of ankle surgery rehabilitation, the patient is encouraged to move around and talk to the nurses and take help from his physiotherapists to prevent the formation of a clot. In some cases, there is a possibility that the bones will not fuse. In such cases, a secondary operation might be necessary. It is highly unlikely, but sometimes a blood vessel or a nerve might get damaged when performing the operation and the problem might arise after ankle surgery. A second operation will be required to fix this problem. Doctors will be well aware of these post ankle surgery complications and they can ideally brief the patients on every small detail about the procedure. Complications may differ based on the different types of ankle surgeries that are performed today, so ensure you are aware of any potential complications that may arise by discussing this with your medical practitioner. Doctors resort to ankle fusion surgery to treat pain in the ankle joint if conservative or non surgical methods to relieve the pain fail. 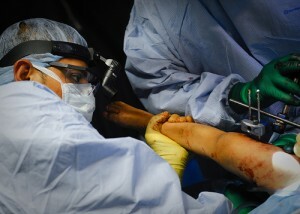 The patient is initially tested to see if he can be a candidate for ankle fusion surgery or arthrodesis. Once he has been confirmed as a candidate, a few additional tests are run and then a date for the ankle fusion procedure is set. On the day of the ankle fusion surgery, pre-ankle fusion, the patient is first taken to a pre-surgery workup where he is prepared for the ankle joint replacement procedure. The patient is first briefed about the different anesthetic options that the doctors can offer and he has a choice between a general anesthetic and a light anesthetic coupled with a regional block. A general anesthetic will make the patient completely unconscious for the duration of the procedure. A regional block however is similar to an epidural which is given during pregnancies. In this, the medication will make the patient numb from the waist down for the surgery and also for two to three days following the surgery. This is done so that the patient does not feel any pain and can move around normally after the surgery. As patients are semi conscious during the surgery when given light anesthetics, most people tend to get anxious about this state. This is because they will be aware of what is going on during the operation. At any point, a patient can reach out to the doctor and tell him about this problem. Doctors normally give the choice of level of consciousness entirely to their patients. Once the patient has made his choice, the doctor either administers a drug so as to render the patient unconscious or adjusts the level of the patient’s consciousness as per his wish. In the operation, an incision is made to open the joint. Once this is done, the articular cartilage is removed from the surface and the bones are exposed. 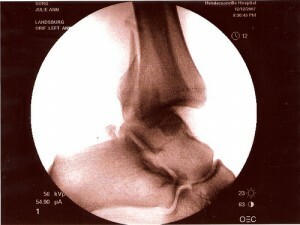 The shinbone or the Tibia and the Talus (large bone in the foot) are then fused together. This is done with the help of pins, plates, screws and rods which are inserted through the bones to hold them together. These screws and pins are not removed unless they get infected or cause pain. Once the fusing is over, the doctor closes the patient. If there are no complications in the surgery, it does not take more than three to four hours. Once the surgery is done, the patient is sent to the recovery room to rest and recuperate. The patient may feel a bit groggy at first when waking up. If there is any pain in the ankle, the doctor will administer either another regional block or a painkiller depending on the level of pain. The doctor will monitor a few more details about the ankle and if all is fine, the patient will be discharged immediately. The patient can opt to stay for a night or two after the ankle fusion surgery if he wants to in order to receive medical attention. Patients are understandably informed to keep their physical activity minimal after the procedure is done during ankle surgery recovery and rehabilitation. Too much stress can bring about ankle pain at a later point. Proper pre ankle fusion measures should be followed once you have set a date for the operation, and it is up to you to take care of yourself. Ankle fusion preparation is very important, as a patient needs to be physically and mentally strong before any surgical procedure. In order to be ready for the surgical procedure, before the ankle fusion surgery, all you need to do is follow the doctor’s instructions fully and follow the pointers mentioned below. Alcohol stays in the bloodstream for a good amount of time after it is consumed. Once you’re on the operating table, you can never predict how it might react with some of the antibiotics and other drugs you will be given prior to the procedure. The best thing to do would be to abstain for a week or two before and after the procedure. 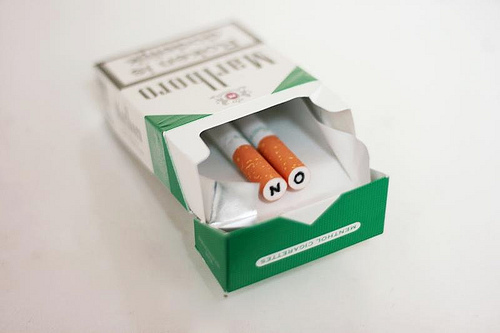 Smoking is a definite no-no. Cigarettes and marijuana bring down the healing capacity of the body. Furthermore, both are likely to contain a hundred different toxins, all of which can be harmful to your body, especially when you are under the surgeon’s knife. If you are overweight, then try and cut down on your weight. Instead of eating fat filled junk food, try and eat healthy. If you have either a high blood pressure or a low blood pressure, make sure you inform your doctor and ask him for guidance on how to control it. It is natural to feel anxious because of the surgery; many therapists will suggest good relaxation techniques to help keep your BP in check. If you have a prior health condition, mention the same that to your surgeon as well as your doctor and ask him if it will interfere with the surgery. Also talk about any medication that you might be on and get it clarified by the doctor on whether it would be safe to continue with it. Get in touch with relatives and friends and see if it would be possible for one of them to stay with you for a week or two after the operation during ankle surgery recovery. Before the operation is performed, you will be handed over a consent form. Ask a doctor to sit and discuss the minor details of the form over with you. This generally has information on what to do in case of any complications post ankle surgery and other possible health problems and possible treatments. Contrary to public opinion, doctors encourage their patients to ask as many questions regarding their operation and medicines as possible during the pre ankle fusion phase. Most hospitals assign a point of contact for people undergoing surgery. You can call your point of contact in case you have doubts later. If the doctors feel they need to run a couple of tests on a tissue, a small piece will be taken and sent to the lab to run these tests. Left over tissue from the tests is generally discarded. The consent forms also have a clause regarding this, where you can give the doctors the permission to use the left over tissue for any medical research that’s approved by the board of the hospital. Apart from this, make sure you get plenty of rest and quiet during the pre ankle fusion phase. Take a week off work and spend time on a hobby to take your mind off everyday worries or problems. There are several things that are taken into account before performing the surgery on an ankle joint to see if the patient’s style of living and needs will be met by the treatment options. Based on these, there are mainly four ankle fusion surgery types available in case of articular cartilage repair. This is also known as arthroscopic ankle surgery and the procedure is carried out through a keyhole. Lavage refers to the process of cleaning out the joint and debridement refers to the removal of any unstable and degenerate cartilage flaps. This treatment helps decrease pain, irritation and inflammation but only for a short while. This is only a treatment procedure and is not a repair procedure as the cartilage is not repaired in this process. It is mainly for patients with small defects. This is generally used for defects that are caused due to sudden injury rather than due to wear and tear. Patients fare well for one to two years but the implanted fibrocartilage begins to wear away after a while. There have been cases where the repaired tissue has worked perfectly for some patients. Statistically, this surgery is not very promising as it is sometimes used as an intermediate step rather than as a final surgery. In an autograft, small cylindrical plugs of cartilage are taken from some other part of the patient’s body and these plugs are later inserted into the drilled holes inside the chondral defect. This can be done either arthroscopically or by making a small incision. This is done for defects which are limited in size because for greater defects, taking plugs from the knee joint will cause a defect. The procedure for an allograft is the same as that for an autograft, but in an allograft, the plugs are taken from a deceased person rather than from the patient himself. This procedure consists of two stages. In the first stage, the chondral defect is assessed using arthroscopy and if it is viable for the procedure, a sample of cartilage cells are taken from the femur and sent to a lab where these cells are nurtured for anywhere between three and six weeks. In stage two, an incision is made and the chondral defect is prepared to be injected with the new cartilage cells. All these ankle surgery types have their own levels of risk and it is best for an individual to consult a doctor and understand the procedure that is best for him post ankle surgery. Often, a foot pain diagnosis can help in bringing up an articular cartilage injury, as articular cartilage damage is not similar to other body part damages. There is a chance that the affected people will never realize that they have damaged their cartilage, as it does not show immediately in any physical form. There are no specific tests that are used to determine the extent of damage that the articular cartilage has gone through. Therefore, unlike ligament tears, cartilage repair takes a considerable amount of effort both on the part of the doctor who’s administering the treatment and the patient. There are a few things that will help a doctor understand the situation better. Doctors must first test for problems with the patient’s ligaments and meniscus and if they are in order, then they move towards the articular cartilage in order to properly carry forward the ankle injury diagnosis. X-rays are mostly ineffective while testing for problems with articular cartilage. This is because the scans only show injury to the bone, especially in the primary stages. There is a possibility of seeing something in the scans only if there is a problem with the bone alignment or if the damage in the bones is clearly visible. 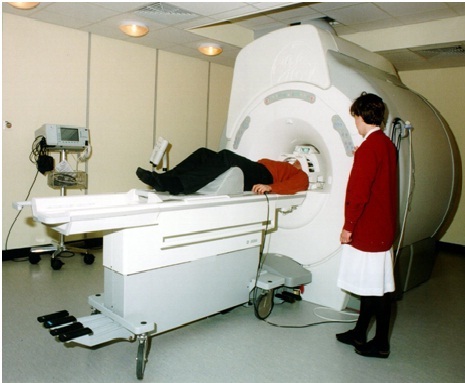 MRI scans are very useful when it comes to detecting the problem with articular cartilage. These machines are very expensive and in most countries there will generally be a huge line just for a couple of scans. This can turn out to be quite expensive for most patients and they might not get their scans done before the damage gets worse for this reason. In this procedure, the surgeon makes a small incision and takes a look inside with a small camera. This camera provides images of the cartilage and these images are graded according to how bad they look starting from 0 to 4. Each grade can be treated in a different fashion and the doctor will explain to the patient the best possible option for him. Once you frequently experience joint pain, you can opt for a foot pain diagnosis and opt for further ankle pain treatment based on the doctor’s advice. Pain in the ankle joint is treated using an ankle fusion surgery. 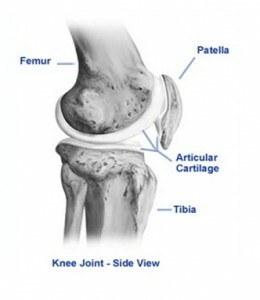 Articular cartilage damage refers to the damage rendered to a type of hyaline cartilage which is generally present in the bones’ articular structure. The cartilage is a slimy mass that has a definite consistency and elasticity and can be found in bones. It is made up of neither nerves nor blood cells and it has a relatively simple structure. In case of articular cartilage damage, it is possible for the articular cartilage injury to be displayed by its own accord or through injuries to other ligaments and tendons or menisci. People who have been operated on before are at a higher risk of going through articular cartilage damage as their joint mechanics are slightly altered, so even a small injury can lead to a big problem. Many body parts often regenerate by repairing themselves by forming the same kind of tissue. Articular cartilage does not possess this ability and for this reason, there is always loss of tissue after an injury or a disease. This leads to the formation of defects in the system and this should be immediately repaired. As the cartilage does not have any nerves or blood vessels, it is highly likely that a small or shallow wound will not produce any pain. This is why most people ignore such articular cartilage damage. Since the cartilage cannot repair itself, articular cartilage damage is generally overlooked for months and in some cases, for years. As time passes on and a small injury is ignored, the articular cartilage damage increases. As this happens, the defect formed, known as the chondral defect, moves towards the subchondral bone. As the bone has a supply of blood, it tries to heal the chondral defect. During this healing process, scar tissue is formed and such scar tissue is made up of a type of cartilage termed as fibrocartilage. This causes further problems as the articular cartilage, which can be basically split as hyanine cartilage and fibrocartilage, has different structures. Fibrocartilage is much denser in comparison to hyanine cartilage, so even though the defect may be healed, the fibrocartilage has a greater risk of breaking down because it cannot match the demands of hyanine cartilage which is used in day to day activities. It was found in 2006 that even the smallest defect caused by articular cartilage damage can lead to osteoarthritis if it is not treated immediately. Even though a defect of the articular cartilage may appear to be small or insignificant, it has the potential to have a negative domino effect on the chemical and physical surroundings of either other cartilages or uninjured articular cartilages in the body. A damaged cartilage in the ankle can be treated by a surgery on the ankle joint. The ankle fusion surgery is carried out to treat the pain in the ankle, and this is determined after a foot pain diagnosis. Apart from these three major bones, the ankle joint is lined with Articular Cartilage on its inside. The cartilage is about a quarter of an inch thick and if there is any damage occurring to it due to arthritis or any other reason, the pain caused by it can be very severe. This is said to occur when the heel is above the surface of the ground and the toes are in contact with it. The force provided by this motion propels the limb to lift of the ground and start. In simple terms, it is a motion in which the foot bends or twists in a downwards angle. In this motion, the foot’s dorsum is brought closer to the surface of the leg. The heel is in contact with the ground whereas the toes are raised at an upward angle. The foot moves in an upwards angle in this case. The ankle attains it most stable configuration when the entire weight of the torso is supported by the lower limb. Further dorsi flexion is restricted so that the body may be erect and standing. Ankle fusion is done when there is a lot of wear and tear to the articular cartilage which causes cartilage damage. Ankle joint surgery or ankle fusion is carried out to promote or place a fuse between the talus and the tibia, bringing about a change. This procedure can help in relieving the pain caused by damage to the articular cartilage. The surgery is carried out after a proper foot pain diagnosis.